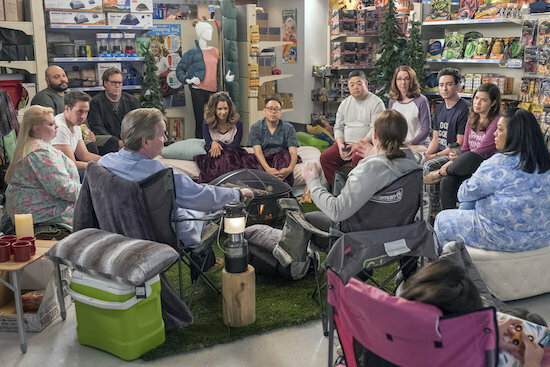 SUPERSTORE’s “Blizzard” and its forced togetherness had an unexpected side effect: Sandra (Kaliko Kauahi) and Jerry (Chris Grace) rekindled their relationship. Of course, the secret didn’t last for long, as Dina (Lauren) walked in on the two of them hooking up in the episode’s final moments. Though not quite as volatile, the relationship between Sandra and Dina has also been complicated, so Sandra having to rely on her discretion is a bit of a wild card.